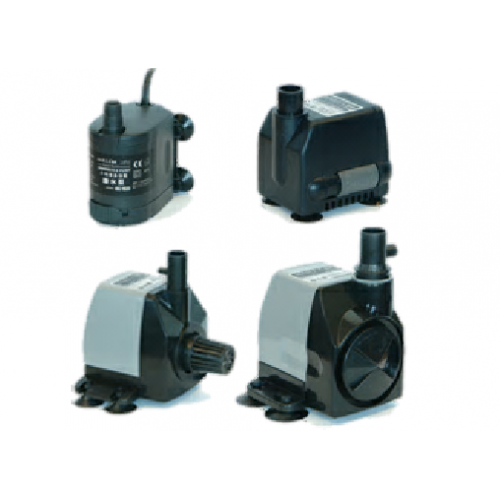 These versatile little Hailea Low Level Water Pumps have fully adjustable flow rate regulators (not HX-2500) and have the ability to work in low water level conditions. HX2500 and HX-4500 models also come with oxygen intakes as standard. ABS case and high quality stainless steel shaft, suitable for fresh or sea water and ideal for use with nutrient salts. Inbuilt flow regulator to control flow easily. Ideal for pumping nutrients in NFT, flood and drain or other hydroponic systems. HX2500 and HX4500 water pumps have oxygen intakes as standard.